After listening carefully to Pine Siskins this year to pick out the calls of other species (see my earlier post) I have run across several other mimics. In early June in Arlington, Massachusetts I heard a remarkable American Goldfinch song that incorporated several phrases of a Song Sparrow song along with Northern Flicker and I suspect other species were being copied but I couldn’t pick them out. This is the first time I’ve heard an American Goldfinch that included copies of other species in its song, and these were very clear and obvious copies, but as Dan Lane pointed out in comments on my previous Siskin post American Goldfinch seems to be exceptional – the one American member of the genus that does not copy. Apparently they do, at least occasionally. In western Massachusetts in late June 2009 I heard a male Purple Finch giving its territorial song. This territorial song began with a bright warble like a typical Purple Finch song, then continued into a longer and more varied section – a jumble of short song phrases and copies of other species. 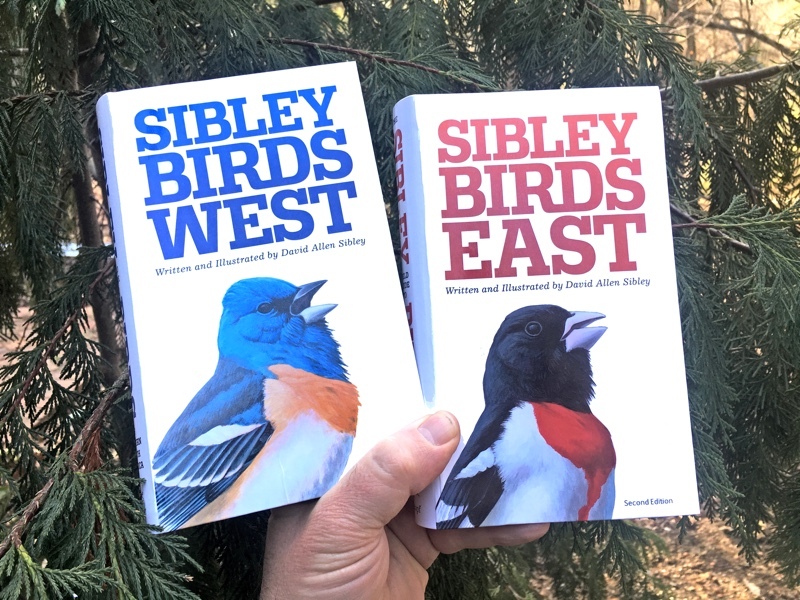 I was able to pick out copies of American Robin, Tufted Titmouse, Eastern Towhee, and Hairy Woodpecker, and again I suspect there were more. In this case the copying has been previously reported in the literature, with the BNA account mentioning Barn Swallow, American Goldfinch, Eastern Towhee, and Brown-headed Cowbird. Several years ago I noticed a few copies in the flight song of an Ovenbird, and I’ve heard a few others since then. 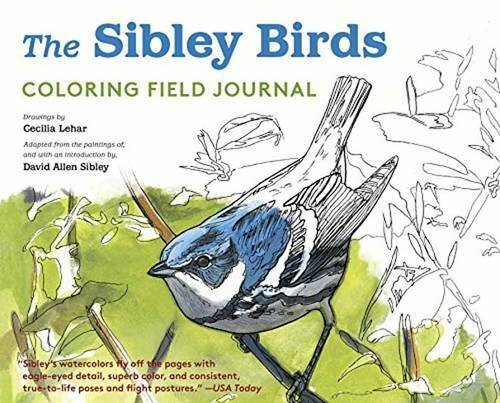 Over several days in late June 2009 I was able to hear many flight songs from one Ovenbird in Colton, New York, which included copies of Red-eyed Vireo song phrase, Robin tut note, and a Purple Finch song phrase. There are very few recordings of the flight song (since it is given at such long intervals) but one on the Stokes Guide to Bird Songs: Eastern includes a lot of mimicry. Listening carefully to that I can hear a snippet of Winter Wren song, the trill of Eastern Towhee song, Red-eyed Vireo song phrase, and ending with White-eyed Vireo song. 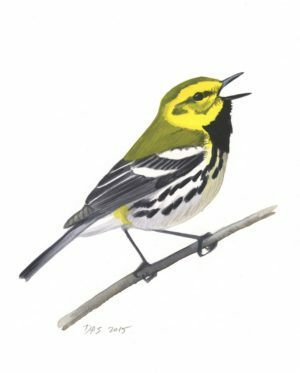 It’s such a jumble of calls that (like the Siskin song) it’s very hard to pull out all the copies, so I suspect there are others, and this whole performance – other than the few typical Ovenbird song phrases in the middle – might be copies. This is another instance of vocal copying that has never been reported before, as far as I know. 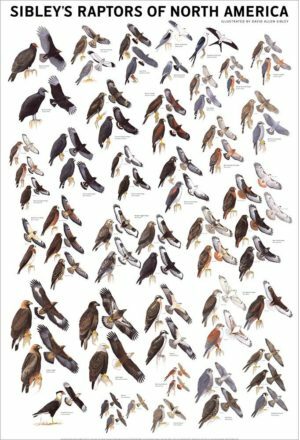 The BNA account for Ovenbird makes no mention of it. It’s interesting that both the Purple Finch and Ovenbird use copies in these sort of extended or auxiliary songs, and not in the more frequently heard “typical” songs. I should point out a very interesting new blog by Nathan Pieplow about bird vocalizations, with a comment on the Pine Siskin issue here, and lots of other good stuff. 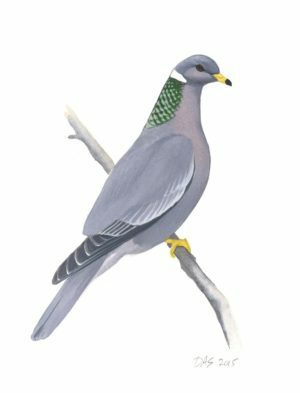 And another blog about bird voices by Paul Driver, with a recent post about Mimicry here. Seems like many research specialists in recent yrs. have been telling us that birdsong is way more complex and intricate than humans generally detect, so this interesting expanded species mimicry probably adds to those findings. There may be many nuances to bird communication that we can't even discern with our ears, nor even with our machines. Cyberthrush hits it on the head. Apparently, these "birdbrains" are capable of being up to much more than we may know. As a musician, I bird more with my ears than with my eyes, with the twice-yearly migrational seasons as the exceptions. 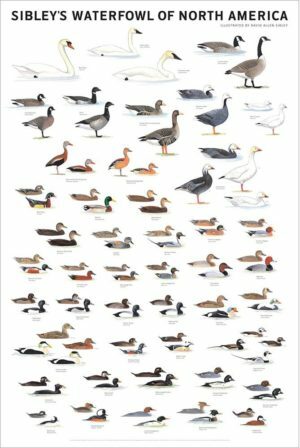 One of the more fascinating aspects of this is the hint of regional single-species song, or "accent." We still, despite our obsessive study, have so much to learn. This is one of the things that keeps the study fresh, lively, and endlessly intriguing. Very cool. David, any chance you are carrying a recorder with you to get cuts of these different vocal performances? Sure would be great to get them archived! You briefly mention White-eyed Vireo as one of the species copied in the Ovenbird song… in the past 10 years or so, I've really come to appreciate the vocal copying of White-eyed Vireo, too. It seems to make up perhaps about half of its song from other birds' voices. 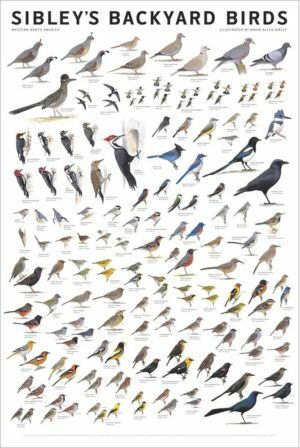 Favorites are Great Crested and Ash-throated Flycatchers (usually the introductory note to the vireo's song), Summer Tanager (the vireo mimicks the call note), Acadian Flycatcher (call note), Downy Woodpecker, Eastern Towhee (call note), etc. Strange that few (if any?) other vireos mimic in this way. 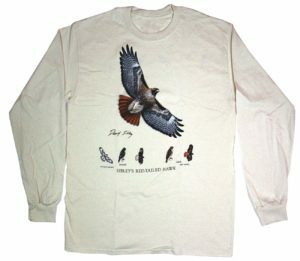 Do North American bird species that winter in South America also mimic South American birds when on territory in the North? This is the case with quite a few of Europe's songbirds and is very charming. Hi Jochen, This is a good question. I’ve heard Gray Catbird use copies of a neotropical species. In early May sometime in the 1990s, a migrating Catbird at Cape May, NJ, gave the typical “whip-burr” call of Brown-crested Flycatcher, which it must have heard on its wintering grounds south of the US. Several other times I’ve heard sounds from Catbirds that I thought were tropical, but couldn’t be sure. 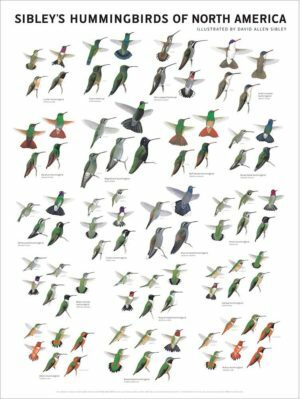 Someone who knows Central American bird songs really well might be able to pick out more copies. 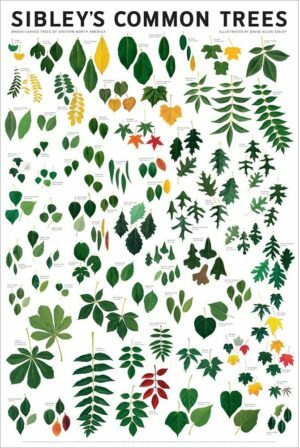 Well, this post is nearly a year after the original, but maybe someone will read it. While sitting at the computer today, my daughter and I heard the call of a Carolina Wren. You know – “tea-kettle-tea-kettle-tea”; except that it sounded a little strained. I went outside, looked and listened and saw nothing but American Goldfinches swarming our feeders. Then I heard it again! A squeakier, slower Carolina Wren call followed immediately by typical Goldfinch chatter! 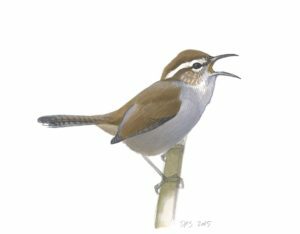 We do have both Carolina and House Wrens around, but I never heard or saw them. 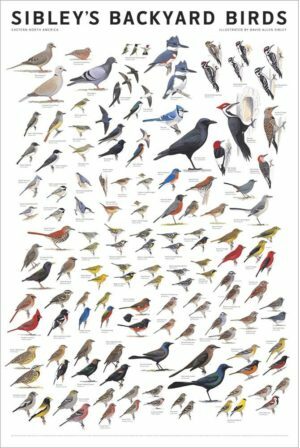 I am still a newbie when it comes to birdwatching, but as a musician, I am very tuned into (pun intended) the nuances in bird songs and calls. That HAD to be an American Godlfinch mimicing a Carolina Wren!! Now to catch him in the act! I’m glad to know people are still reading these posts! 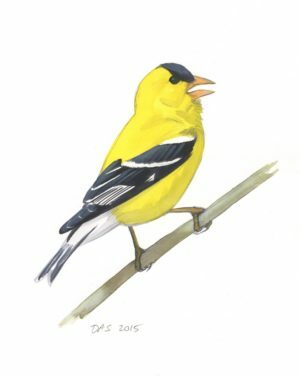 Since I wrote this a year ago I’ve heard a few other American Goldfinches singing tiny snippets that I thought were copies of other species, but not as clear cut as the one I heard last year. 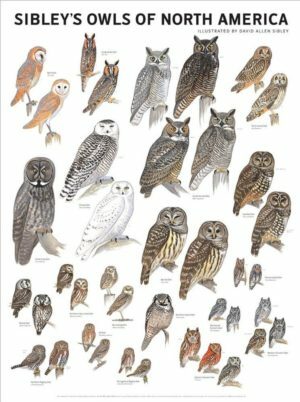 There’s been a lot of new research on song-learning in birds, and evidence that (in at least some species) a more diverse song is more attractive to females, so the males copy sounds they hear that are within their vocal range. In the case of Purple Finch and Ovenbird this is done only in one type of their song, and may be directed more at females than at rivals. Maybe goldfinches also use copied sounds only in certain contexts, and that’s one reason we hear it so infrequently? 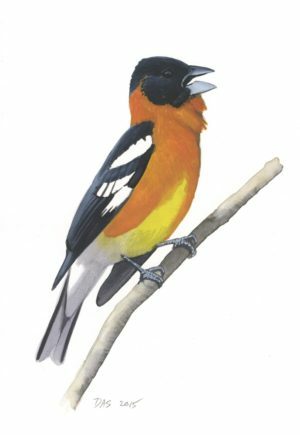 Flight calls are another matter, and on 20 June 2010 in Concord, MA I heard a flying goldfinch alternating its typical flight call with a rough but recognizable imitation of Pine Siskin’s “p-deeyu” flight call. It’s known that flight calls are learned in the family Fringillidae, and even adult finches will adjust their flight call to match their mate, so presumably this goldfinch was exposed to the calls of PIne Siskins, but I’ve never heard this before.